Sushi kiosk in mall is becoming a very hot business threads. 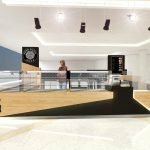 To start a sushi shop in mall you will need a very nice and functional sushi bar . 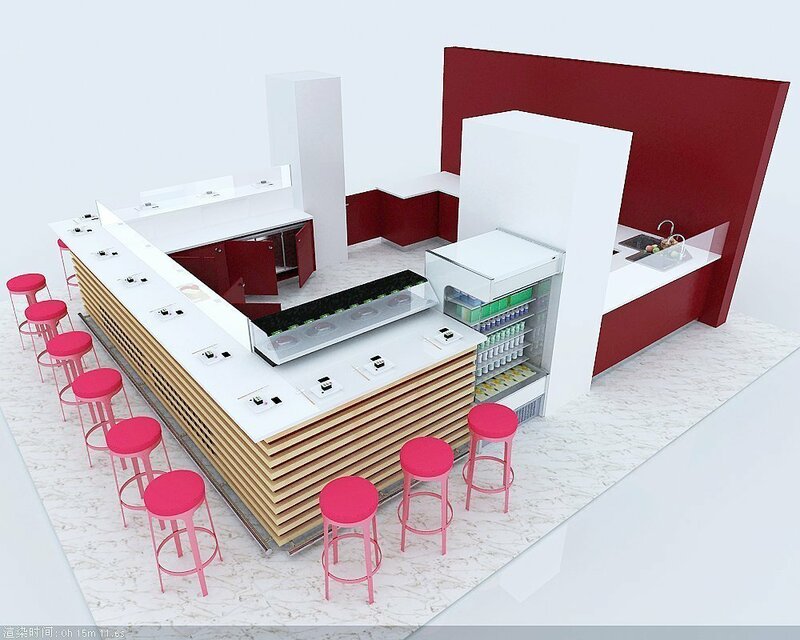 Here blow are Mall used sushi kiosk design with bar counter for sale. This is a big size sushi bar kiosk in mall. with a size of 5*5 meter. customer can sitting around the sushi bar and enjoy the food. Compare to other types of food kiosk , the blow sushi shop design seems quite simple. But still some good ideas from this design. There’s a disadvantage in this sushi store design. In my point of view. 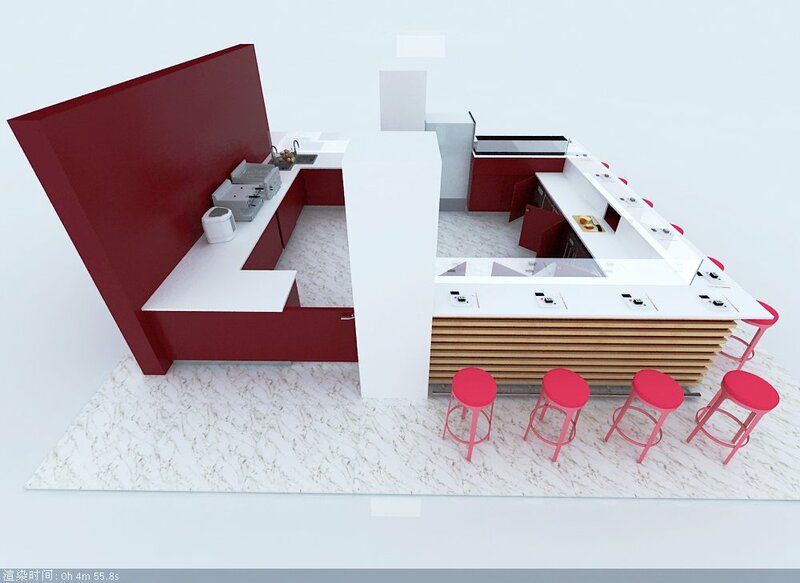 the food preparation area should have a divider wall to make the serving area and food preparation area apart. 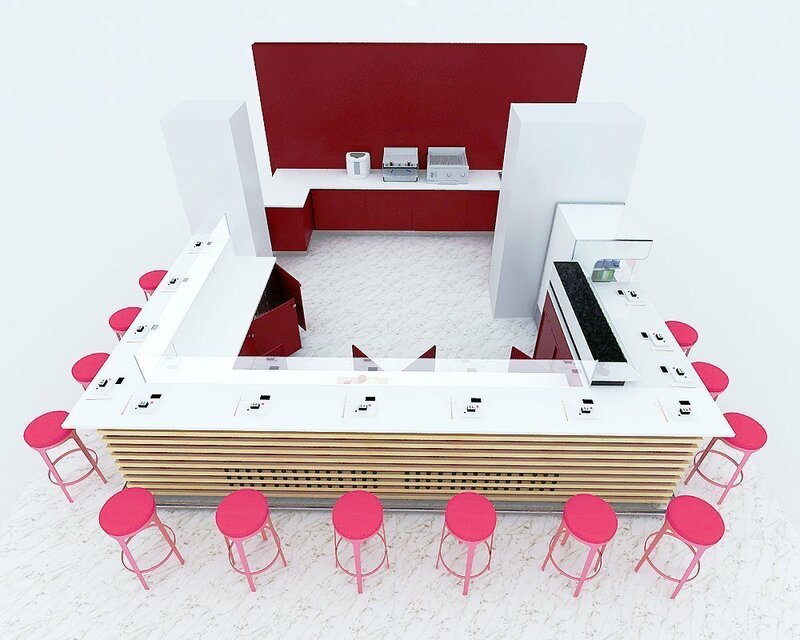 Do you like this food kiosk design ？ if you need a customized sushi bar, please feel free to contact us. 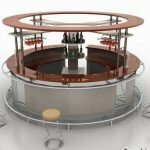 Unique Kiosk is a leading food kiosk manufacturer . 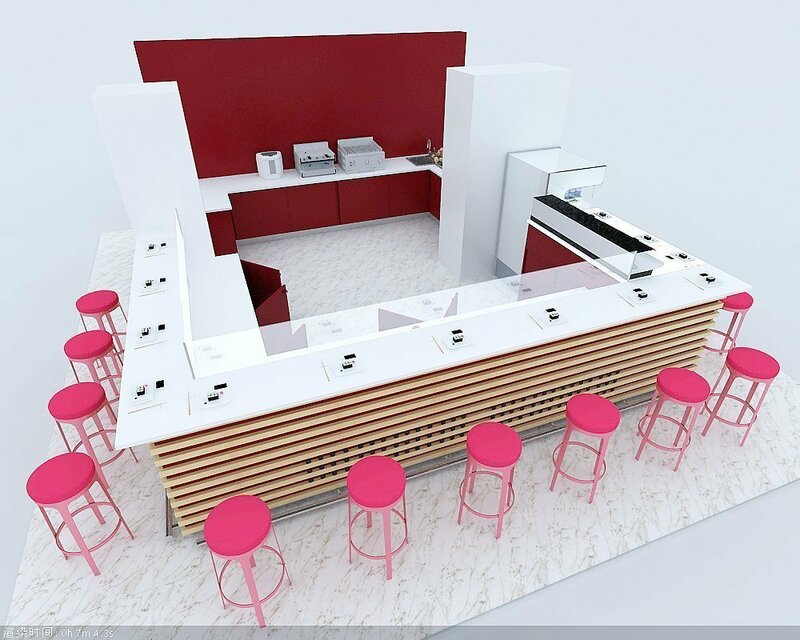 We design and build customized sushi kiosk and sushi bar counter for mall. And we offer the best competitive price over the whole internet. If you are looking for a sushi related commercial furniture . Unique will be your best partner.